FSX P3D Airbus A340-300 Lufthansa Star Alliance. Germany flag carrier airline began flying in 1955 and with its global destinations is a familiar brand all over the world. As of January 2019, Lufthansa operate 15 Airbus A340-300. Some of these are being transferred to its subsidiary airline Eurowings. Model by Thomas Ruth. Added the better Thomas Ruth modified VC with latest updates by Chris Evans and Louis Quintero. Added the textures by Janne Juusti. Included VC texture upgrade by Enrique Cornejo. Added correct jetway configs, wing views and wheel levels. Manual included. Zip preview for larger pictures. Checklist by Werner Schott included. Prepared and Tested in P3D v4 by Chris Evans. 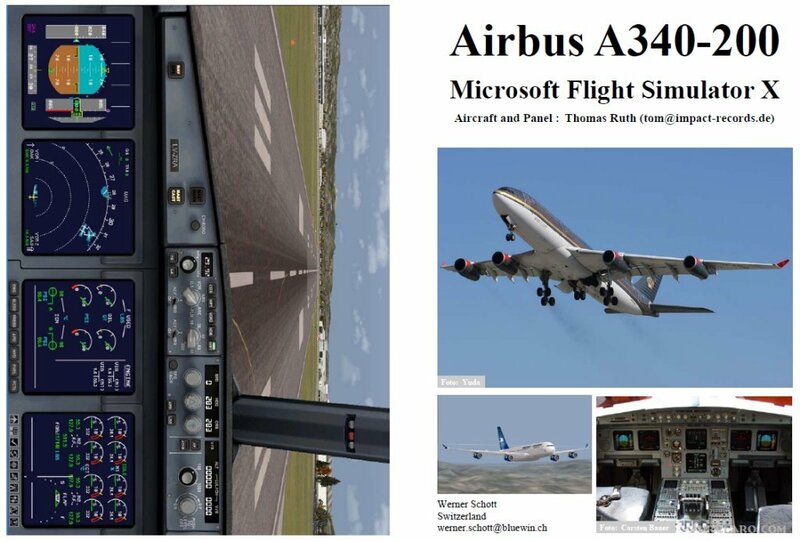 Should work in FSX and earlier P3D versions.